"What you sew is what you get"
Swantje Wendt is a dressmaker, she studied fashion design and is the founder of the Nadelwald co-sewing space in Berlin. As a trainer for Makerist, she shares her knowledge of sewing, especially with the overlock, When she's not writing a book about sewing, she makes great patterns. 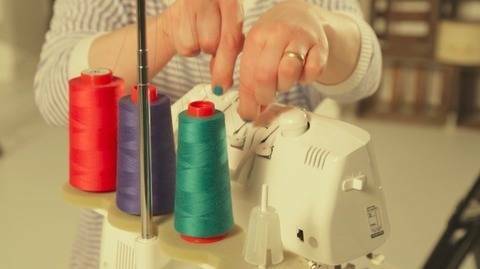 Basic Course - Master Your Serger: Easy steps to serger success!